Purebred Jiu Jitsu Academy offers a variety of programs from Basic Fundamentals, Kids/Youth, to Advanced/Competition classes. All of our programs include fitness, self defense, and the most intricate details in technique to help you reach your maximum potential. Come down to Purebred Jiu Jitsu Academy today to see what program will fit you best. 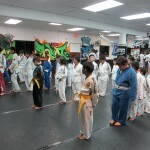 Purebred Jiu Jitsu Academy offers kids and youth Brazilian jiu jitsu classes for ages 6 to 15. This program is designed to develop your child’s coordination, confidence and discipline in a safe, friendly and most importantly, fun environment. We focus on physical fitness, bully proofing and confidence building exercises which will help your child deal with any and all confrontational situations. 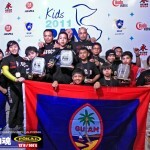 Our sport jiu jitsu curriculum has helped us build the most successful youth competition team in Guam’s history, most recently winning the Overall team as well as the Junior and Teen 1st place titles at the 2011 IBJJF Pan Kids Jiu Jitsu Championships held in Carson, California. 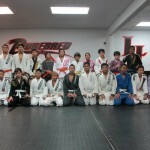 Purebred Jiu jitsu’s advanced/ competition curriculum focuses on the intricate techniques and strategies of Brazilian jiu jitsu. Classes focus on the intense positional and tactical study. Advanced drilling and increased sparring sessions help to stimulate subconscious reactions as well as physical conditioning. We are consistently hosting the sport’s top athletes for guest instruction and seminars. When you train at Purebred Jiu Jitsu, you train with the best. Our competition team has earned a reputation as the perennial powerhouse in this region and have multiple IBJJF podium placings to prove it!